Dr. Joseph A. Viviano has been in private practice since 1967. 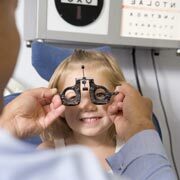 Dr. Viviano's practice is " Full Scope" and meets the vision needs of children and adults. Dr. Viviano is a Fellow of the American Academy of Optometry, a Fellow and past president of the College of Optometrists in Vision Development, member of the American Optometric Association and Optometric Extension Program. In addition, Dr. Viviano is a retired (June 2010) Assistant Clinical Professor at the State University of New York College of Optometry.